Ray Madoff gathers nonprofit leaders to ensure the public good is not forgotten. 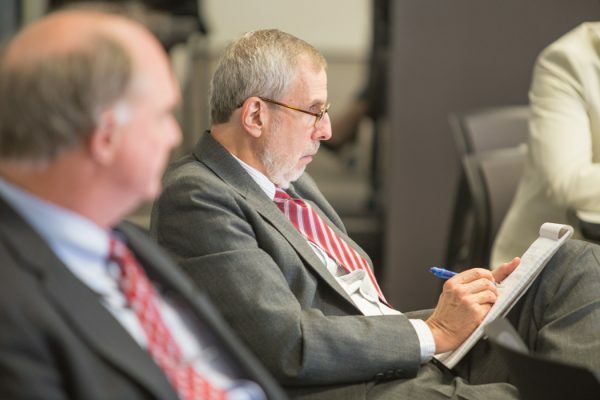 Professor Ray Madoff, co-founder and director of the Boston College Law School Forum on Philanthropy and the Public Good, had a key goal in mind when she decided to invite leaders from America’s largest tax-exempt organizations to a meeting March 16 at the Ford Foundation in New York. She wanted them to talk with one another about provisions to the tax code relevant to charitable giving. How significant was this? Very. Madoff’s ultimate goal was to achieve a closer alliance between rules governing the sector and the public good. 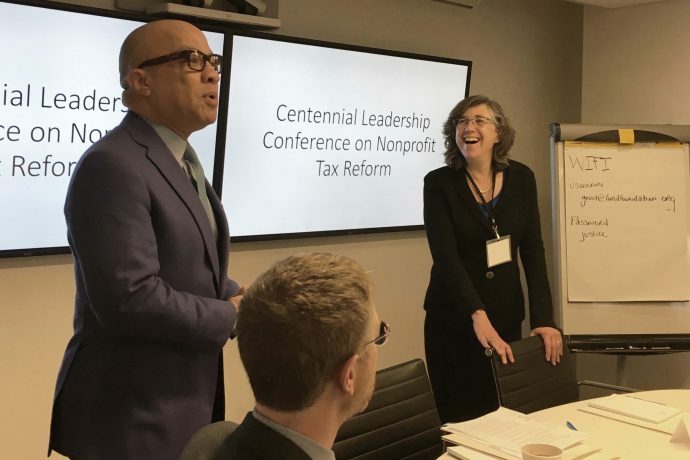 But the event was also, as its title, the Centennial Leadership Conference on Nonprofit Tax Reform, suggests, one of the few times, since charitable tax benefits were enacted 100 years ago, that nonprofit leaders met to consider tax issues through the particular lens of operating nonprofits. As it happened, the conference fell within the first 100 days of a new administration and a reconfigured Congress, both eager to make their mark on tax reform. In other words, it was a politically critical time for charitable and philanthropic parties to come together. Some 25 nonprofit leaders—among them heads of the United Way Worldwide, American Heart Association, Catholic Charities USA, Americans for the Arts. and YMCA of the USA—convened at the Ford Foundation, which co-sponsored the event with BC Law, and whose president, Darren Walker, welcomed the assembled. Presenters included former IRS Acting Commissioner Steve Miller and former Senior Counsel to the Senate Finance Committee, Dean Zerbe (both currently of the alliantgroup); Eugene Steuerle of the Urban Institute; and, in addition to Madoff, scholars Stanley Katz (Princeton), Roger Colinvaux (Catholic), Brian Galle (Georgetown), Una Osili (Indiana), and Rob Reich (Stanford). Photograph: Professor Ray Madoff with Darren Walker, president of the Ford Foundation, at the Centennial Leadership Conference.